Alice is a Junior hair stylist at our hair salon. She has a wealth of experience in hairdressing and loves her job. Always wearing a smile and with a very friendly soul, she brings a fun and positive attitude to The Works Hairdressing & Beauty every single day. She is an artist when it comes to hair colour radiance and hair volume rituals. Add to all of that luxurious, attentive service and it’s no wonder Alice is in high demand. Whether it’s short hair styling or hair styling for men, no challenge is too great. Hair colouring becomes easy with our senior hair stylist and Alice uses a vast knowledge of hair styling products to design your perfect look. We understand hairdressing salons can be intimidating places, especially if you’re unsure as to what it is you want. Alice will make you feel completely at home. 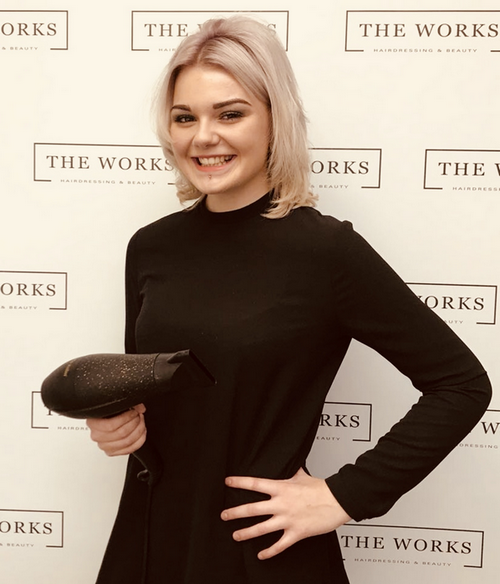 The Works Hairdressing & Beauty has been styling and pampering the heart of Marple since 2016. 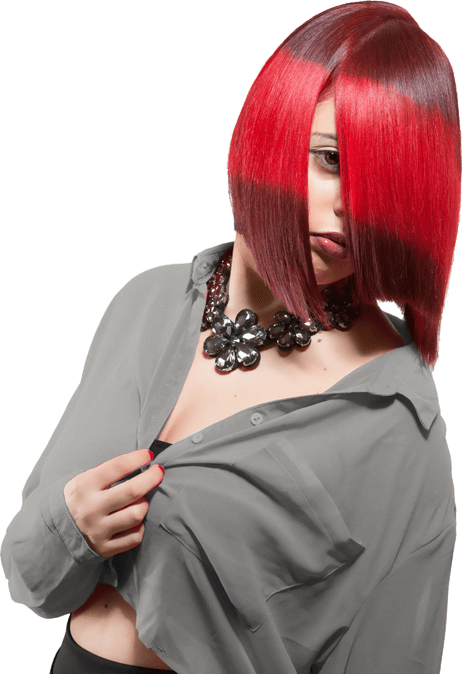 However, we are proud to say our hair colouring techniques and customer service have become known in surrounding areas, too. Based in Stockport, Alice would love for you to call in and have a chat with her about hair colour ideas!